We are glad to every guest! Minsk Holidays Travel Agency has been organizing excursions around beautiful Belarus for its citizens and guests for many years as well as arranging for the reception of foreign dignataries and delegations from around the world. Our clients include both individuals and large Belarusian and foreign companies. If you are planning to visit Belarus, we will be happy to help make your holiday unforgettable. Our team has invaluable knowledge about Minsk and Belarus. We sincerely love our city and our country and we take great pride in the tours that we offer! We offer tours that will allow you to touch all the best that Belarus may offer: from majestic castles and authentic villages to historic towns and the fascinating Belovezhskaya Pushcha National Park within the Brest and Grodno regions. All excursions are carried out consistent with the highest quality standards and our guests are accompanied by professional guides whose extensive knowledge and experience provide you with a magnificent day that will be remembered for a long time. In fact, many of our guests return again to Belarus to see more of the country. Our cars and buses that take you around are modern, comfortable, and air conditioned. The mission of our company is to provide a warm welcome to each and every guest, and to exceed his or her expectations. We are always in touch and ready to help in any situation. We provide support not only during our tours, but also throughout your stay in Belarus. Our team speaks Belarusian, Russian, English, French, German, Polish, Italian and Spanish. On individual request, it is possible to service in any other language outside this list. We love our country and our city. We know a lot of interesting stories about the past and present of Belarus, which we look forward to share with our guests. Smiles on the faces of satisfied guests are the main reward for us. 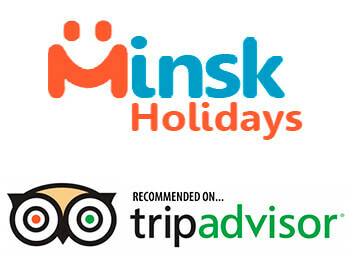 We are doing everything possible to make our customers love Minsk and Belarus, and to return here once again.